A Jacksonville man is wanted by law enforcement authorities for failure to appear in court for a number of alleged crimes. 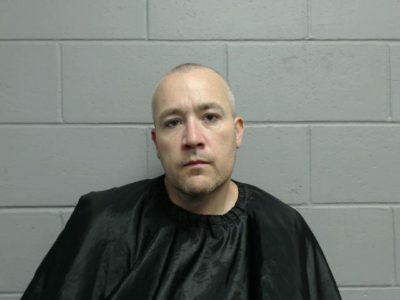 42 year old Stephen L. Calvin, of the 1200 block of Park Place, is wanted by Crimestoppers of Morgan and Scott Counties for failure to appear for aggravated battery, two counts of domestic battery, and unlawful use of a weapon charges. Calvin failed to appear for a scheduled pre-trial conference on Wednedsay. Stephen Calvin is 5 foot 10 inches tall and weighs approximately 200 pounds.